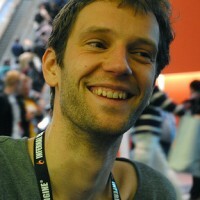 Richard Boeser lives and works in Rotterdam, the Netherlands as an independent game designer. He studied Industrial Design Engineering at Delft University of Technology. He is co-founder of Sparpweed, a game studio with a focus on original gameplay and atmosphere.